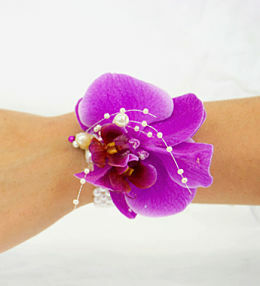 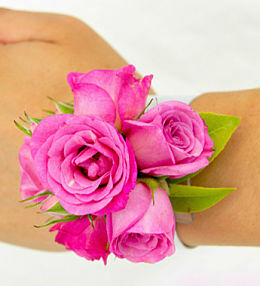 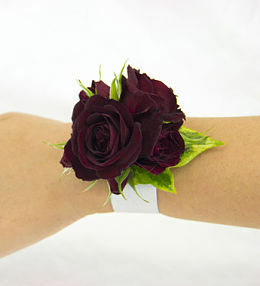 Whether you are part of the wedding bridal party or simply want to look amazing for your prom, there&apos;s no better way to complete your outfit than with the perfect flower corsage. 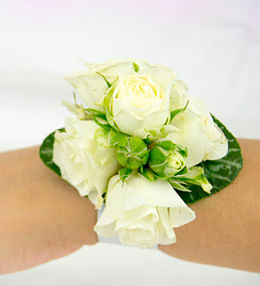 At Prestige Flowers, we carefully select the very best fresh flowers and arrange them with precision to create the ultimate floral corsage accessory. 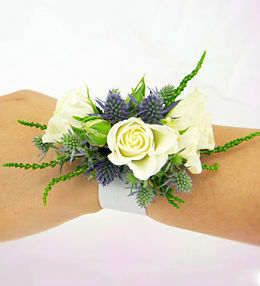 All our corsages have matching boutonnieres or buttonholes so that you and your partner are perfectly coordinated in terms of flower selection, colour and design. 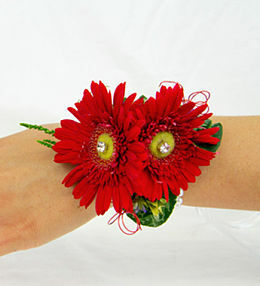 Corsages and buttonholes are sold separately. 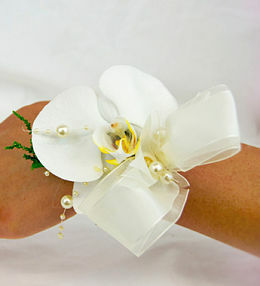 The perfect elegant corsage, this stunning white orchid is softened with a matching bow, feathery foliage and delicately finished with pearls.